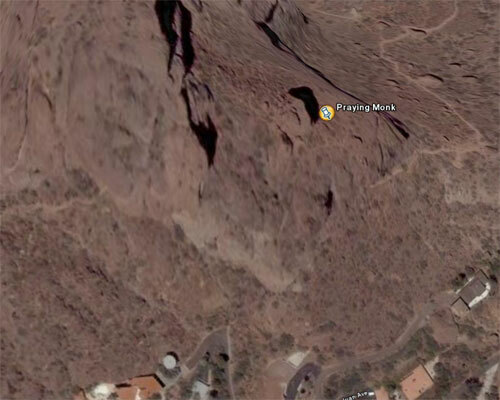 I’ve been checking out the update to Virtual Earth Bird’s Eye View and was taking a look at Camelback Mountain. One interesting feature that I’ve always loved is Praying Monk. 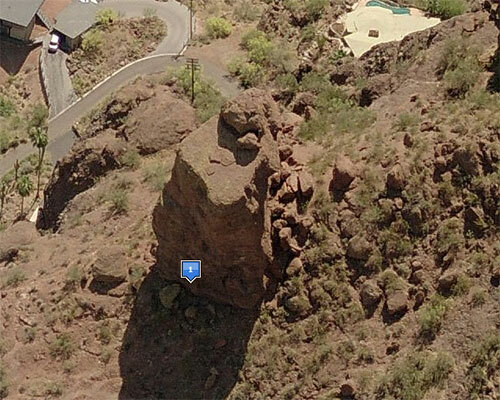 In Google Earth you don’t get the resolution you’d like, but maybe there are ways around that. But in Virtual Earth Bird’s Eye, you get a totally different perspective. There is just so much to explore using Bird’s Eye. I’ll admit, I wasn’t too excited about the 45 degree view when it was announced, but boy do I love it now. Oh and I live nowhere close to the Praying Monk (not in my price range), but you can stay right next to it anytime you want (again, REALLY not my price range).